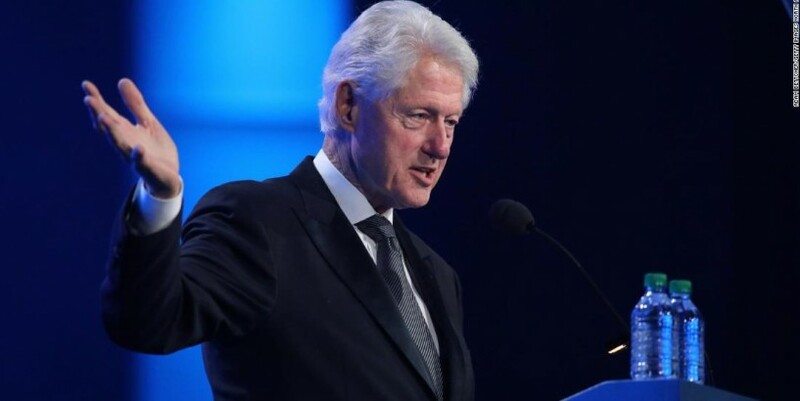 Lagos, Nigeria (CNN) Former US President Bill Clinton has canceled his trip to Nigeria ahead of Saturday's general elections, saying the visit could be "politicized." Clinton was scheduled to visit the capital, Abuja, this week alongside Baroness Patricia Scotland, the Secretary-General of the Commonwealth. The planned trip was facilitated by the Kofi Annan Foundation and the National Peace Committee (NPC). "Over the course of the last several days, and after various conversations with the different stakeholders, it's become apparent that President Clinton's visit to Nigeria has the potential to be politicized in a way that is not in line with the goals of the Committee. Therefore, he will not be traveling to Abuja," Clinton's spokesman Angel Ureña said in a statement. Clinton, according to the statement, would continue to support the NPC 's work toward peaceful and fair elections in Nigeria. Read More The young politicians aiming to consign Africa's old guard to history He had been set to deliver a keynote speech at a ceremony for the signing of a peace accord by presidential candidates. Clinton will speak later this week with President Muhammadu Buhari, who is standing for re-election, and his main challenger, Atiku Abubakar, his spokesman said. It is expected to be a keenly contested election. Two electoral commission offices housing voting materials were burned down within a week, the country's electoral body said Sunday. 2 electoral offices burn down a few days before Nigeria's presidential election, officials say "This is a crucial time in Nigeria, and President Clinton is hopeful that the election's outcome reflects the will of the Nigerian people," his spokesman said. The NPC in an earlier statement announcing Clinton's visit said it reached out to him and others to ensure peaceful elections and a non-violent transfer of power in the West African nation. More than 200 people were killed and about 40,000 displaced in violence after Nigeria's 2011 presidential elections, when then-incumbent Goodluck Jonathan defeated Buhari at the polls .